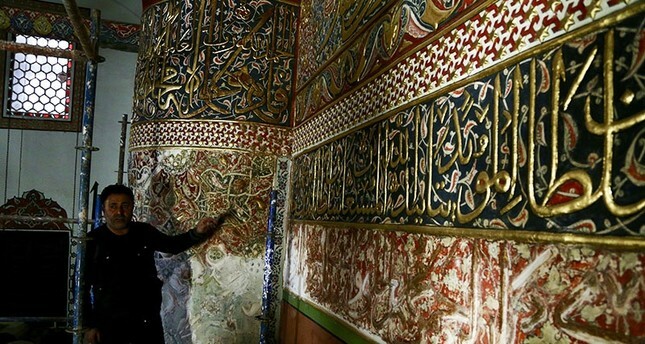 Centuries-old carvings and calligraphy decorations have been uncovered during restoration work at a tomb dedicated to Mevlana Jalaluddin Rumi, the famed 13th century Sufi Muslim poet and scholar, in central Turkey's Konya province. 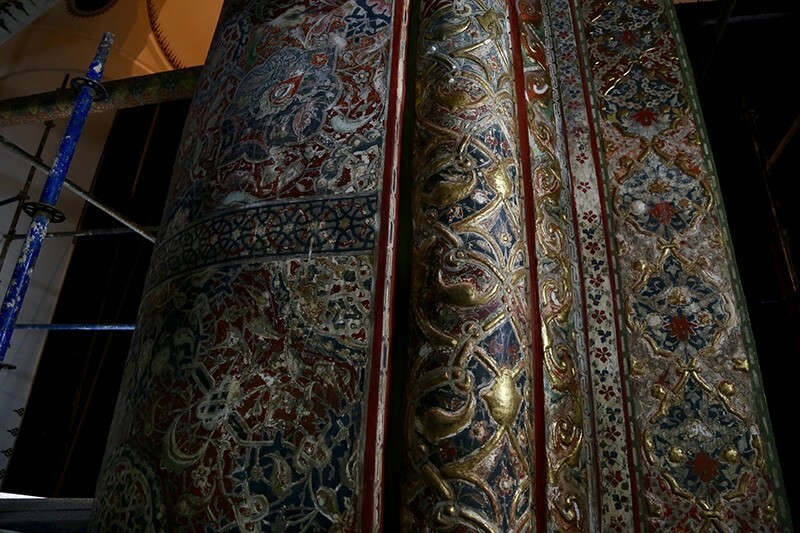 The decorations located inside of a part of Rumi's tomb – a part called Kubbe-i Hadra (Green Dome) – and are believed to have been made by order of Sultan Bayezid II, who ruled the Ottoman Empire more than 500 years ago. 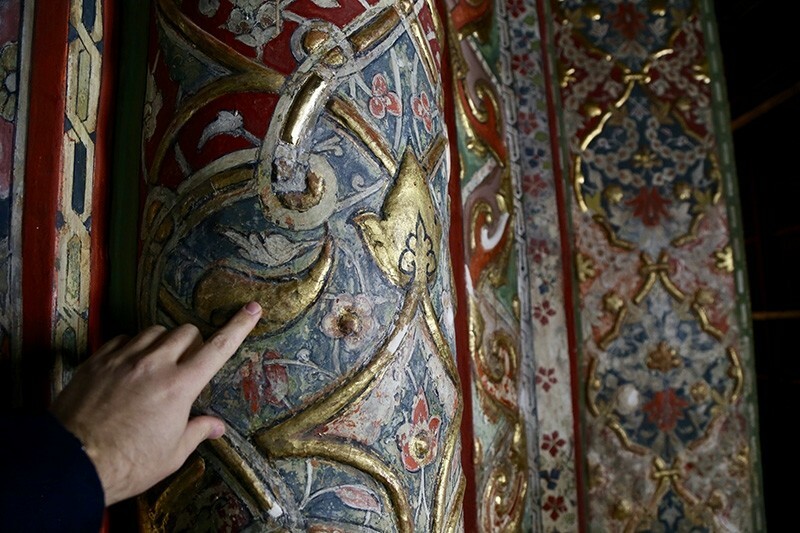 Provincial Culture and Tourism Director Abdüssettar Yarar told Anadolu Agency (AA) that these decorations and ornaments belonging to the Sultan Bayezid II period "were covered due to the work carried out later in the tomb, and they have now come to light." 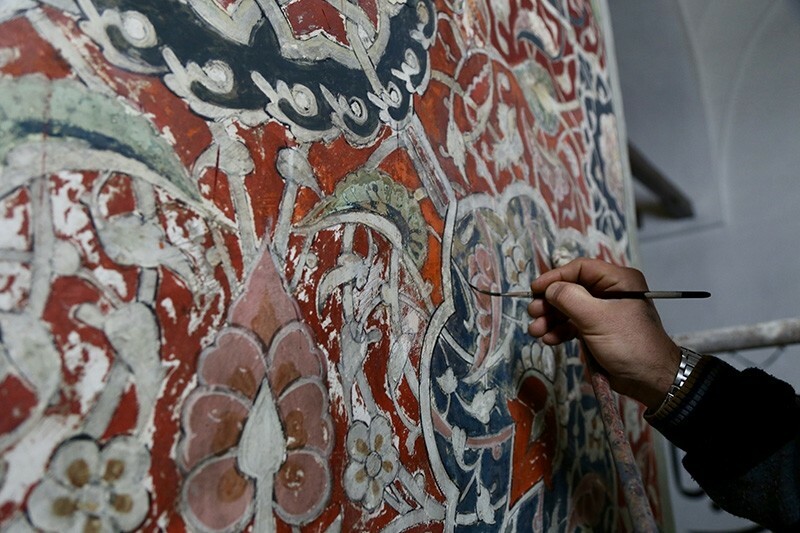 Yarar said the findings uncovered during the restoration works are undergoing examination by the scientific board. 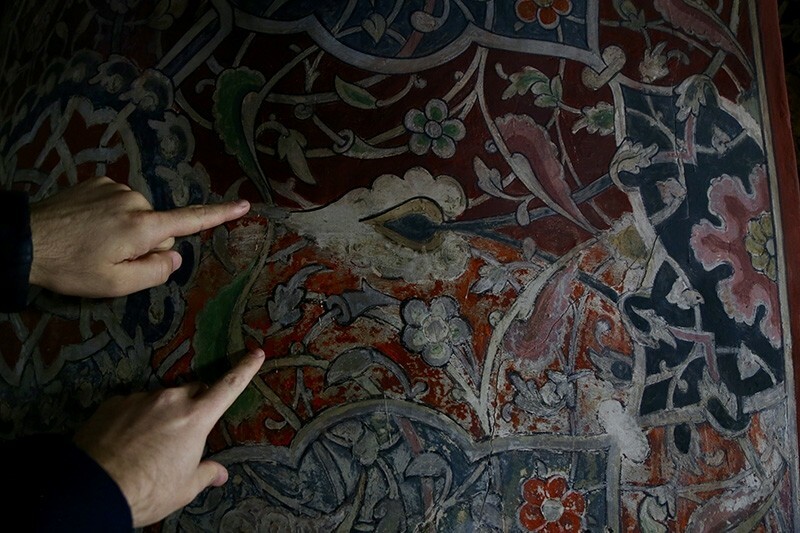 He underscored that they hope to reopen the tomb to visitors as soon as possible. 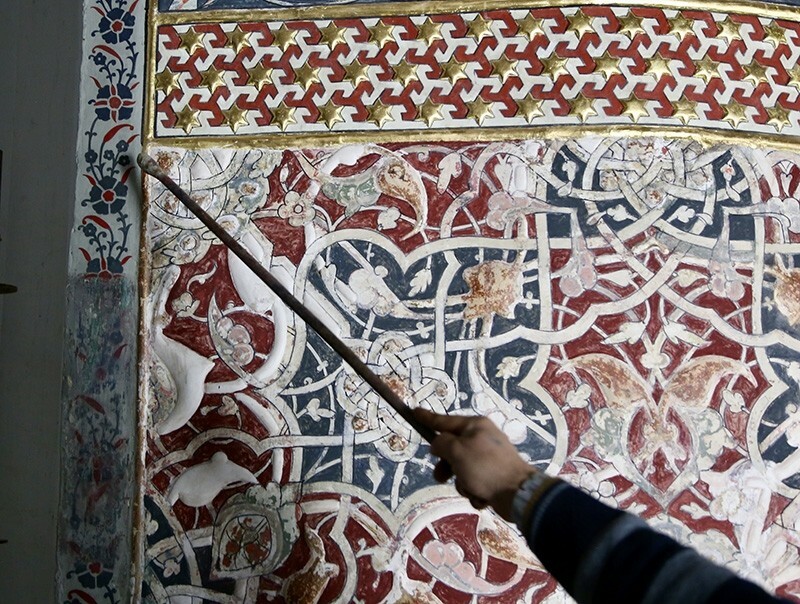 The restoration of the tomb began in June 2018, and 80 percent of the work has already been completed, Yarar said. 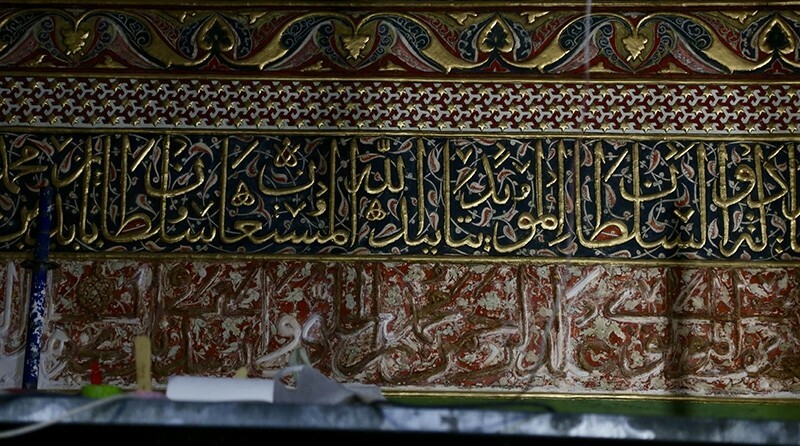 Mevlana Jalaluddin Balkhi, who is referred to as "Rumi" for his exodus to Anatolia (then known by Arabs and Turks as the land of the Romans), is widely accepted as a native of Balkh, Afghanistan. Born in 1207, young Rumi and his family fled to Konya, then the capital of the Anatolian Seljuks, where he spent most of his life and died in 1273. It was there that his son founded the Mevlevi Order, also known as the Order of the Whirling Dervishes, famous for the Sufi dance known as the Sama ceremony, to perpetuate his father's teachings.